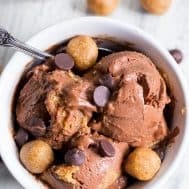 This paleo and vegan chocolate almond butter cookie dough ice cream is rich, creamy and super easy to make! 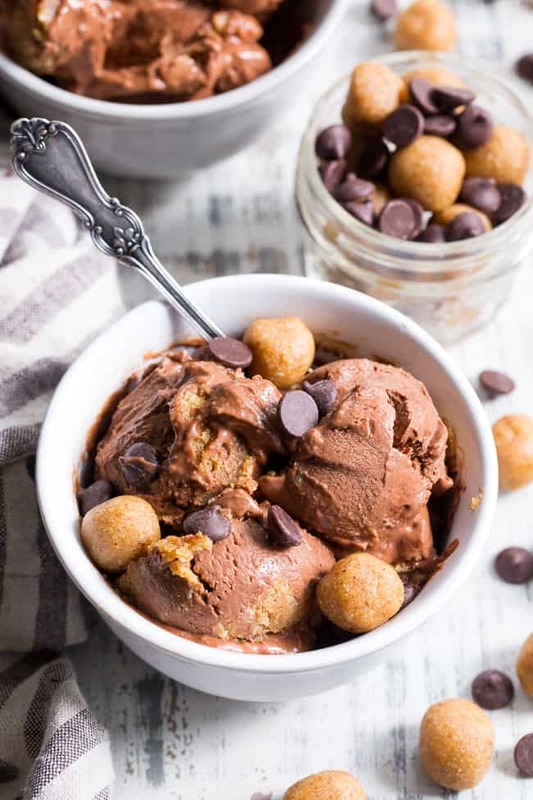 Creamy no-churn chocolate ice cream is packed with grain free and paleo almond butter cookie dough chunks throughout. It’s family approved and irresistibly chocolatey! 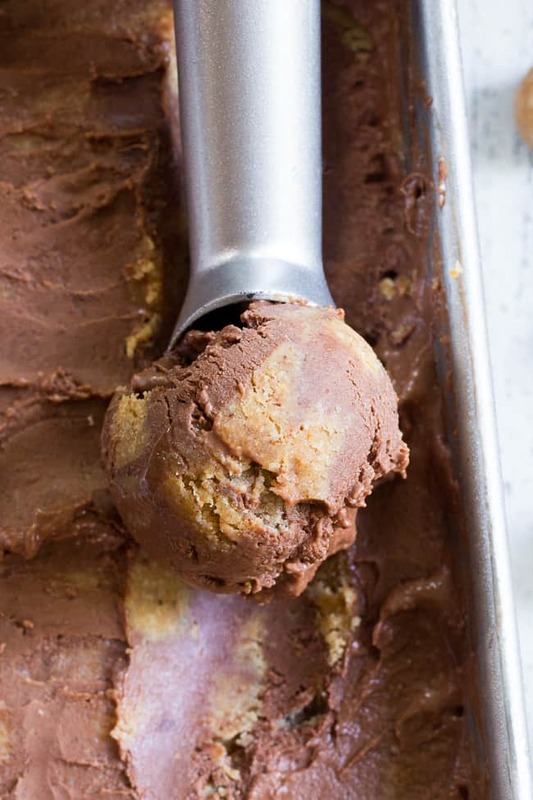 Rich creamy chocolate and chewy almond butter cookie dough – need I say more? Don’t worry, I will. 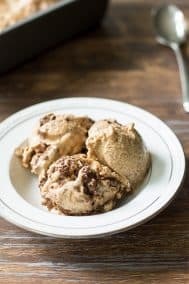 I can’t resist chatting about two of my favorite foodie subjects, and, this paleo and vegan ice cream recipe is worth more than a few words. It’s no churn, vegan, and in case you were wondering, I just finished the last of it on Friday night. A little sad to be done with it but this is one I’ll be making again and again. Apologies in advance, because you’ll be on that ride with me after the first bite of this ice cream! 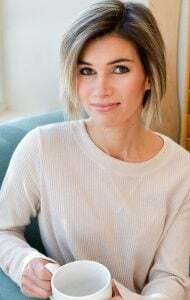 I’ve probably I’ve mentioned this before, but my favorite job (besides food blogger, of course) was scooping ice cream at Friendly’s in high school. I genuinely LOVED making ridiculously decadent ice cream sundaes for anyone who wanted one – myself included. I basically lived on ice cream + toppings for a couple of years. Okay, it was really the toppings that sustained me. Cookie dough, brownie pieces, Reeses cups, hot fudge and peanut butter. I could go on, but I know I’m getting off track now. The point is, I don’t take my ice cream creations pretty seriously and I like my ice cream to be truly rich and loaded up with goodies, EVEN though it’s dairy-free, paleo, and a whole lot healthier than my 3 scoop peanut butter cup brownie sundaes of years past. So, this ice cream is going to make you happy – I can promise you that. We’re making a rice creamy chocolate base with coconut milk, raw cacao, maple syrup and a bit of almond butter and arrowroot starch. 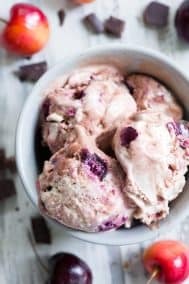 Since this ice cream is no-churn, the almond butter and arrowroot with help thicken the base, make it creamier and also avoid excessive iciness after freezing. The cookie dough is also super simple and easy to work with. You’ll mix the dough, flatten it out between two sheets of parchment paper an chill in the freezer while you make the ice cream. Once the ice cream is partially chilled, you’ll cut the dough into small chunks and stir them into the ice cream base. Then it’s just a waiting game – easier said than done, of course! 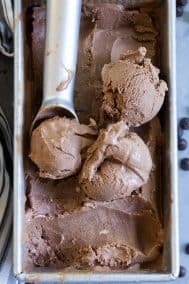 As with all no-churn ice creams, once in the freezer overnight it will harden to the point where you can’t scoop it right out of the freezer. No worries at all – simply thaw it for about an hour in the fridge OR on the countertop for 20 minutes or so to get it to the perfect consistency for scooping! I hope you’re ready for a legit homemade ice cream experience – hopefully a new favorite that you’ll make again and again! 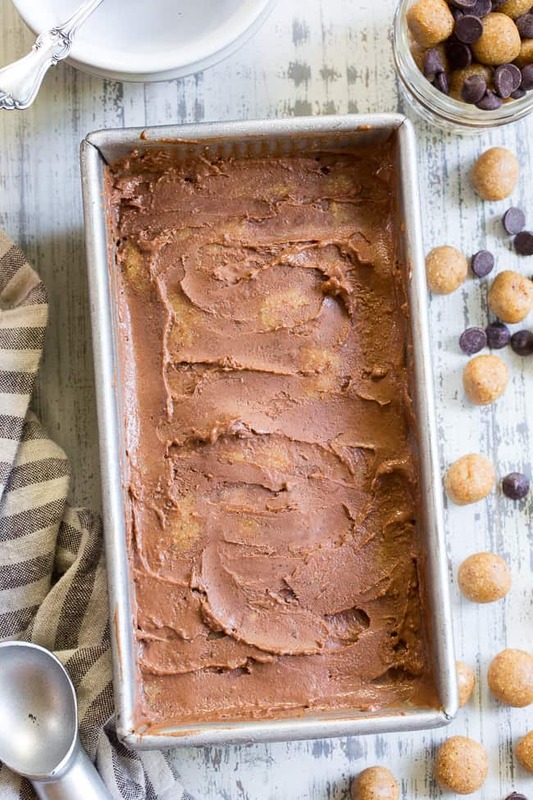 Chocolate, almond butter – yes, ’nuff said! Let’s make this! 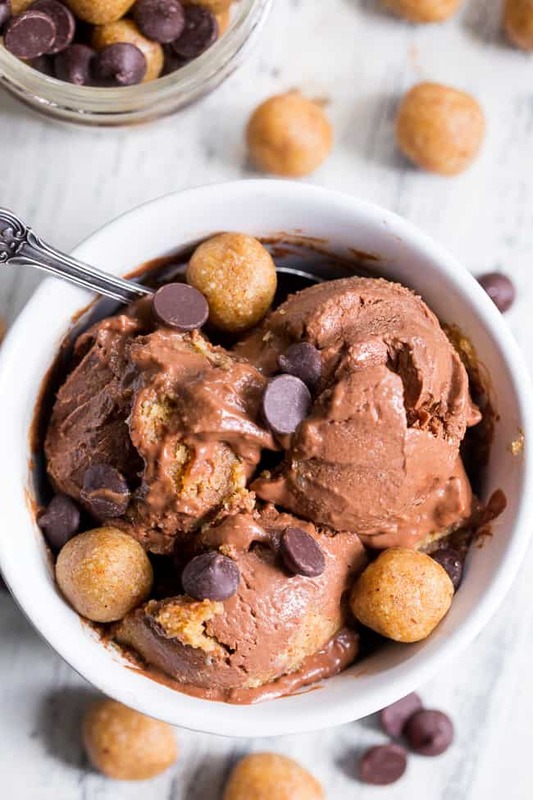 This paleo and vegan chocolate almond butter cookie dough ice cream is rich, creamy and super easy to make! 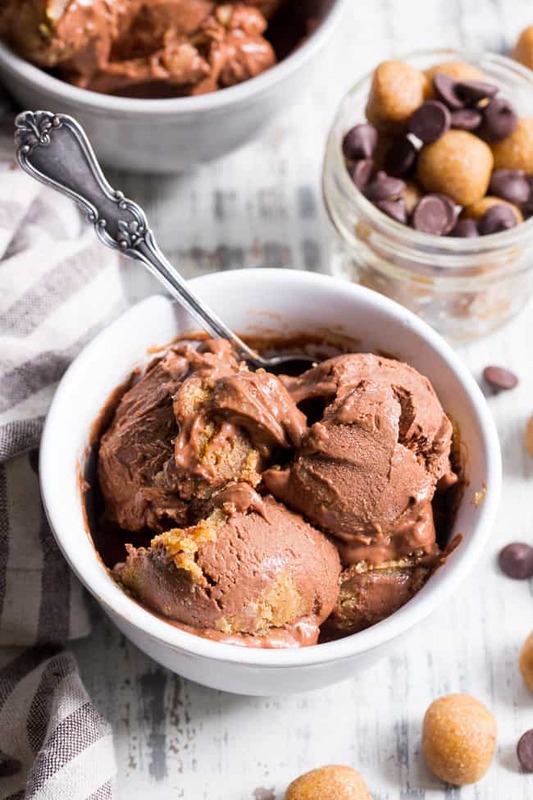 This no-churn chocolate ice cream is packed with grain free and paleo almond butter cookie dough chunks throughout. It's family approved and irresistibly chocolatey! 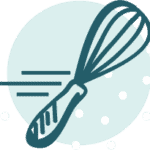 Stir all ingredients well in a bowl until a dough forms, then press dough between two pieces of parchment paper to 1/2” thickness and place in the freezer while you prepare the ice cream base. In a medium saucepan, whisk together the coconut milk with the cacao powder, arrowroot*, and maple syrup. Heat the mixture over medium heat and cook while stirring with the whisk for about 5-10 minutes until the mixture just begins to bubble. Remove from heat, then whisk in the almond butter, vanilla and sea salt until fully combined and smooth. Allow the mixture to cool at room temperature for about 20 minutes, stirring. A film might begin to form on top - this is normal, simply whisk to blend it away. (I used an 8 x 4} and cover the top with plastic wrap. Place in the freezer for 1 hour or until colder than room temp before stirring in the cookie dough. While ice cream chills, cut the chilled cookie dough into small squares. Once ice cream has chilled for 1 hour, stir in cookie dough and smooth the top. Replace plastic wrap, this time wrapping tightly to make contact with the surface of the ice cream. Freeze for 6 hours or overnight until firm. If ice cream hardens too much (this is normal with no-churn ice cream) simply thaw in the refrigerator for an hour or for 20 minutes at room temp before scooping. Enjoy! 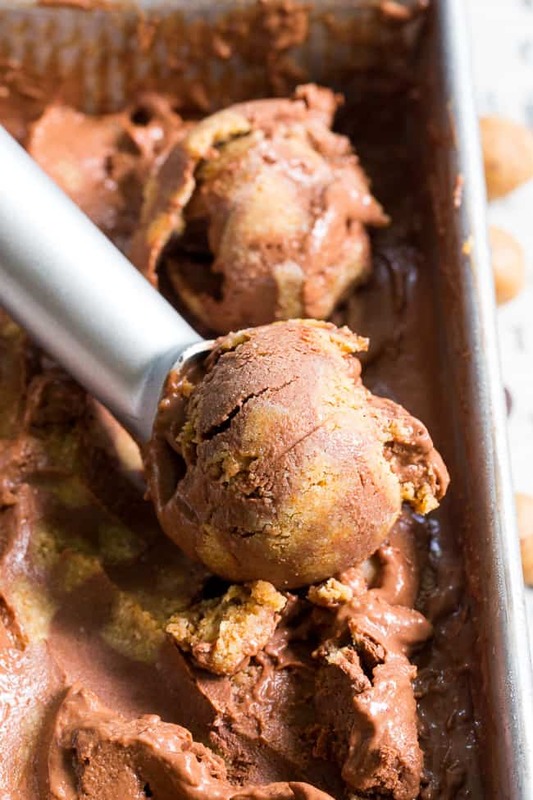 Want More Paleo and Vegan Ice Cream Recipes? Try One Of These! 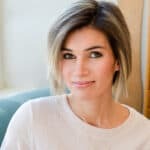 I have been following you for a couple of years now, and have “saved” so many of your recipes, it’s kinda ridic. (Just made bacon zucchini fritters for lunch!) I’m hoping you can help a girl out here. Do you have an ice cream base that does NOT have coconut milk? I get that you need the fat content, but the flavor is just awful. This stuff is absolutely delicious! Can’t wait to try all the other flavors you’ve posted!